We’re not really the sort that love being in the limelight, so this was quite weird. 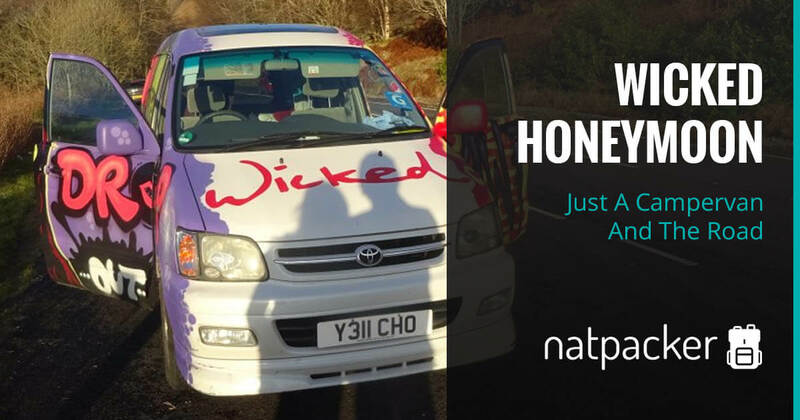 Since we’d agreed to have the video by Iain Struthers on the condition that he could use it for publicity, it seemed wrong to not let all the newspapers and then the TV document our Wedding, it’s all publicity for Iain. So anyway, ITN contacted us. 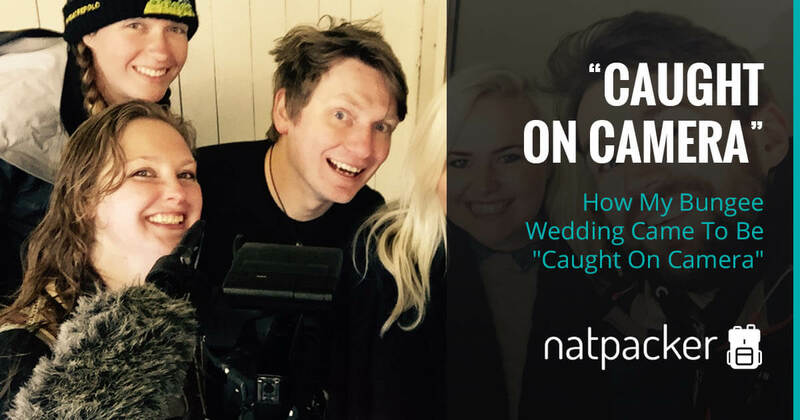 They wanted to use the video and interview us for a show called “Caught On Camera – Weddings”. So, we agreed. On the appointed day we arrived at Peak Pursuits and met the two-person film crew. We had a brief introduction of what to expect, then it was on with the show! The original plan was to get on the water first, then have the interview, but since the mere gave a nice view and the weather had picked up we did the interview first. You may find this hard to believe, but I find talking about what I’ve done hard, blogging is easy as you can think about it, draft, redraft, write and come back and change it, but talking just feels like I’m showing off! Weird. So we had the chat, being interrupted by a few sirens, dogs, rain and hail, but we got there in the end, and I think they got what they wanted! We’d been told that “Caught On Camera” had hired a kayak for us, but it was a canoe. We were both fine with that (and didn’t mention it) but we’ve both kayaked before, but not canoed, how different can it be? As we hadn’t done any ‘paddling’ for a few years, we had a very brief safety talk (which ITN decided they wanted to film too), then it was in the canoe and onto the water! One thing the talk missed was how to steer, and there was a fairly strong wind. We’d been told to try to keep the nose to the wind, but we weren’t sure on steering, so that made the filming brilliant fun! So we literally just paddled around the mere for a bit, first with go-pros on, then we took them off and carried on paddling. We had one crash landing, nearly got caught in fishing lines, and just generally messed around! So I hope you enjoy the fruits of the filming, I know I had fun making it, especially the canoeing! And now we’ll have to go back to Peak Pursuits over the summer as they do a six-week canoeing or kayaking course which I am very interested in! 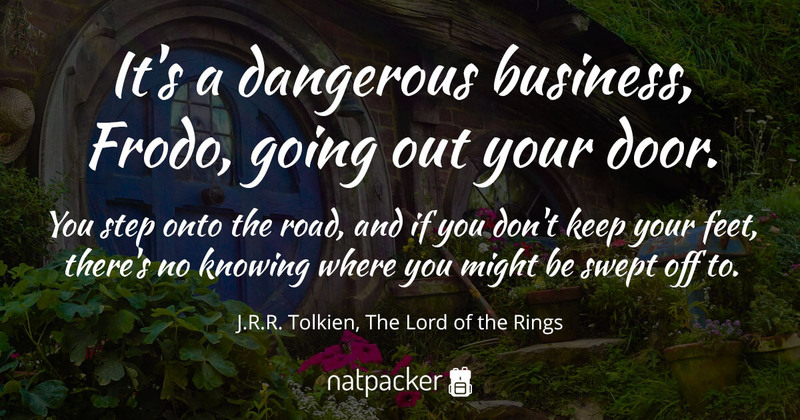 "It's a dangerous business, Frodo, going out of your door..." What does this quote mean to me?